Local law enforcement officials are rolling out a new way to prevent crime and catch criminals in York County. 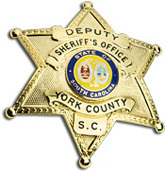 Police and the Rock Hill-York County Convention and Visitors Bureau on Friday introduced a website that they say will increase communication between hotel owners and officers. The general manager of Towne Place Suites by Marriott on Dave Lyle Boulevard said the new tool will give his guests peace of mind and hopefully reduce the chance of crime on hotel property. The website is like “community watch on steroids,” said Ryan Tilden, general manager. 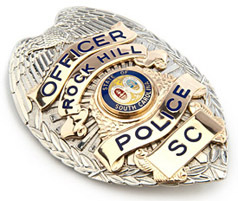 Hotel owners and managers will be able to log in to the “Rock Hill York County Connect” website, www.rockhillyorkcountyconnect.com, and report crimes or suspicious activity immediately. Rock Hill police and the York County Sheriff’s Office will monitor the site, respond to calls and track criminal activity trends. The website will require a secure log-in and not be available for the public--which police say will reduce the chance of criminals using the site with ill-intentions.